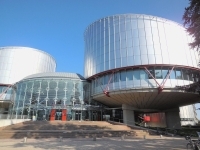 VILNIUS - The European Court of Human Rights (ECHR) has decided to examine a second case over alleged illegal detention in a secret CIA prison in Lithuania in 2005 to 2006, the government said on Monday. The Strasbourg-based court has accepted a complaint lodged by Mustafa al-Hawsawi, a Saudi national, and asked the Lithuanian government to submit its position. "In late January, the government received (al-Hawsawi's) petition through the European Court of Human Rights. We have until March 22 to submit our position on whether an amicable agreement can be reached," Deputy Justice Minister Irma Gudziunaite told BNS. "The government will discuss this issue in the near future," she added. In his petition, al-Hawsawi lists three possible dates on which he could have been flown to Lithuania between February and October 2005, and claims that he was held in the country until March 2006, the official said. The ECHR ruled on May 2018 that the CIA had operated a secret detention site for terror suspects in Lithuania, ordering the country to pay 130,000 euros in damages to Abu Zubaydah, another Saudi national, for human rights violations. The government has placed the money into a depository account. Al-Hawsawi, 50, is currently being held at the US military detention facility in Guantanamo Bay. The man was captured in Pakistan in 2003. The US suspect him of involvement in the September 11, 2001 terror attacks. Reports about a suspected CIA detention facility inside a former horseback riding facility in Antaviliai, a village near Vilnius, appeared in the US media in August 2009. Discussions heated up after the US Senate in 2014 released a report that did not name any specific locations, but some human rights activists believe that Lithuania hosted a detention site referred to as "Violet" in the document. According to the US Senate report, the detention facility was opened in early 2005 and was closed in 2006 after officials in Lithuania refused to admit al-Hawsawi to a local hospital. A pre-trial investigation into these allegations has been ongoing in Lithuania, but no formal suspicions have been brought yet. Lithuanian government officials told the Strasbourg court that the building in Antaviliai had been "an intelligence support center" and that the suspected planes had transported communication equipment rather than people to Lithuania.